Green Builder magazine earns prestigious award from the National Association of Real Estate Editors (NAREE). 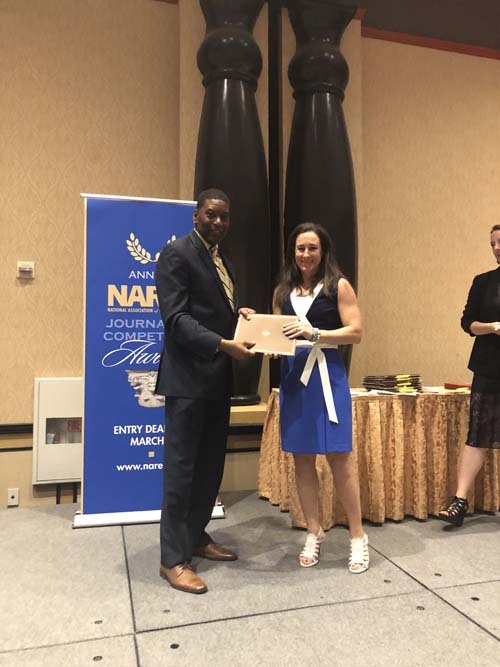 Green Builder Media is incredibly proud to announce that Green Builder magazine was just deemed Best Trade Publication for the sixth year in a row by the National Association of Real Estate Editors (NAREE). The Green Builder Media editorial team is no newcomer to the awards circuit. Power alone has taken home dozens of writing and editorial awards in his long career, including a major win in 2015, with "The Celestia Project", a nine-part series that lays out a hopeful, biophilic version of a sustainable future. What’s next for Green Builder Media? “We’ll continue to put out innovative editorial covering a broad spectrum of sustainable living topics, including Internet of Things, smart home technologies, energy efficiency, intelligent water, indoor air quality, resiliency, renewables, and clean mobility solutions,” Gutterman says. As for Power, he’s turning his sights to influencing building codes to encourage more innovative types of housing and development. "It’s time to figure out how to live more efficiently. For example, we need codes that make small-footprint houses an acceptable option on any parcel." Read past issues (including the winning ones) of Green Builder magazine. You received this email because you are subscribed to Press Releases/General Announcements from Green Builder Media.